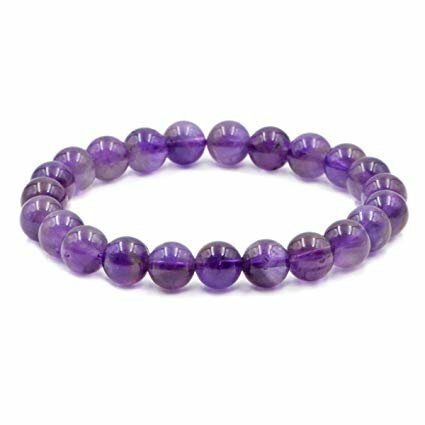 Whitewhale presents beautiful gemstones bracelet are great for jewelry making such as necklaces, bracelets, earrings, and other DIY projects. Please note the photo does not show actual size, refer to description for size details. Color may vary slightly due to the color calibration of each individual monitor. Also, since they're natural stones, you will receive similar items to the pictures shown and might not be the exact ones since each stone is unique. This is a wonderful pair of ghungroo bangles in Silver colour. 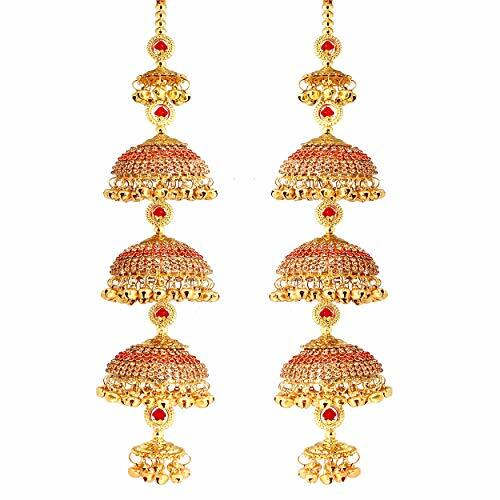 They are perfect for any traditional attire and Ideally worn on festive occasions. 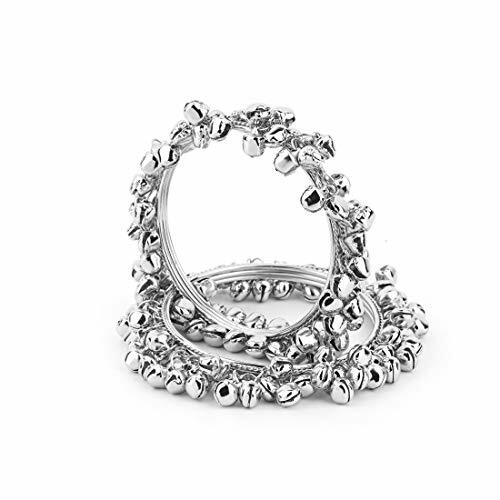 Mulitple small bells are attached to the bangle which makes a gentle sound on movement. Available in all sizes. Copper magnetic therapy bracelet Made with Solid and High Gauge Pure Copper. Effectively Relief of Joint Pain, Arthritis, Joint Inflammation and Skin Allergies. Hand Forged with High Gauge 100% pure Copper. Simple yet naturally beautiful copper bracelet for Men and Women. Thick, Sturdy metal which will last for life. 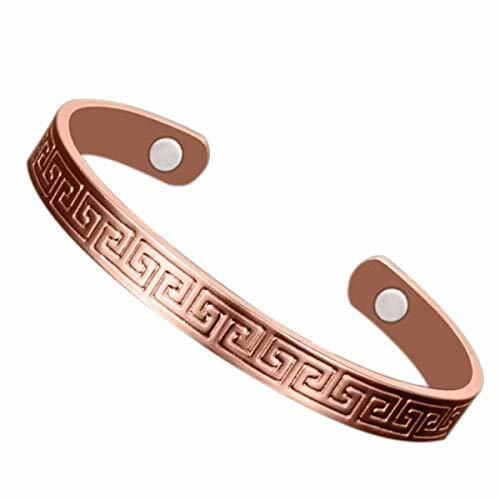 Package included: 1 Pc of Copper bracelet. High Quality Plastic Bangles long durable, Best Quality Silk Threads. Ideal for Traditional functions, Weddings, Receptions,Ethnic wear and Party wear, Festive, Collage and Office wear, you can also gift to your loved ones..... This bangle set can be perfectly matched with Salwar suit,lehanga and Saree.There may slight difference in colour due to photography and brightness adjustments in monitor screen. Keep Jewellery away from water And Other Liquids. # please check your size before placing an order.... Sai is an Indian artistic handcraft brand set out to create mesmerising designs that people would desire to keep and treasure. Every woman is a balance of Beauty, Power & Elegance and we at Sai aspire to compliment & showcase this Balance. 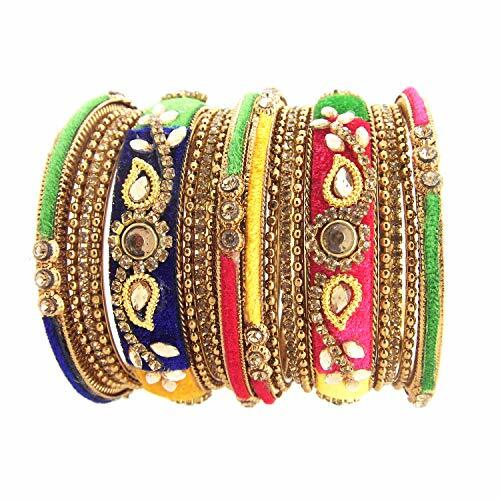 High Quality Metal Bangles long durable, Best Quality Silk Threads. Ideal for Traditional functions, Weddings, Receptions,Ethnic wear and Party wear, Festive, Collage and Office wear, you can also gift to your loved ones..... 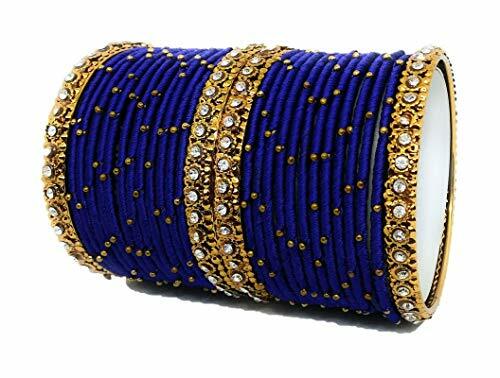 This bangle set can be perfectly matched with Salwar suit,lehanga and Saree.There may slight difference in colour due to photography and brightness adjustments in monitor screen. Keep Jewellery away from water And Other Liquids. # please check your size before placing an order.... Sai is an Indian artistic handcraft brand set out to create mesmerising designs that people would desire to keep and treasure. Every woman is a balance of Beauty, Power & Elegance and we at Sai aspire to compliment & showcase this Balance. 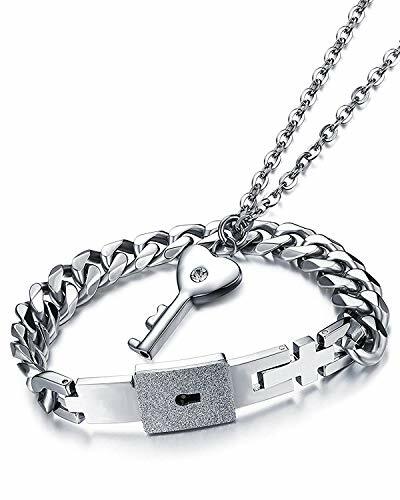 This key and lock bracelet and necklace set is a perfect gift for couples because of its special features, pendant key is used to open bracelet lock which makes it a very romantic gift. This bracelet is made of highest quality imported 316L Stainless Steel. Newest Technology is used which make these bracelets anti-fade and retains shine, anti-allergic. It is a perfect gift for women and men on special occasions like valentines, anniversary, friendship day, birthday and Christmas. Stylish Design: This fashionable bracelet comes with a simple yet trendy and stylish design which lasts long and helps to add elegance and grace to your outfit. Craftsmanship: Made of quality materials, the bracelet is carefully selected and handmade by artisans. Each product goes through a rigorous pulling experiment to ensure quality of the product.